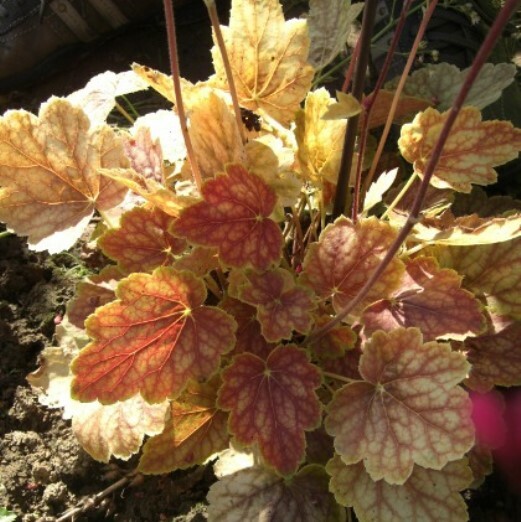 Heuchera 'Blushing Dawn'. A compact coral bells with ever-changing foliage colors. The attractively etched leaves range from lime green to yellow. The leaves are enhanced by red veins that intensify as the weather cools. A strong fast grower. PPAF.